2011 was not my favorite year, which seems silly when I think of all the giggles and thrills that graced the last 12 months. My son learned to swim, my daughter to climb trees with ease, our family to adventure by canoe. We ate a lot of very good food. The many good moments cannot, unfortunately, overlook the abundance of unexpected misfortune and challenges that betook my family and friends. We are all looking forward to a better 2012. I am hard up to think of a better way to start a day (or a year) than with a tall steaming stack of pancakes. 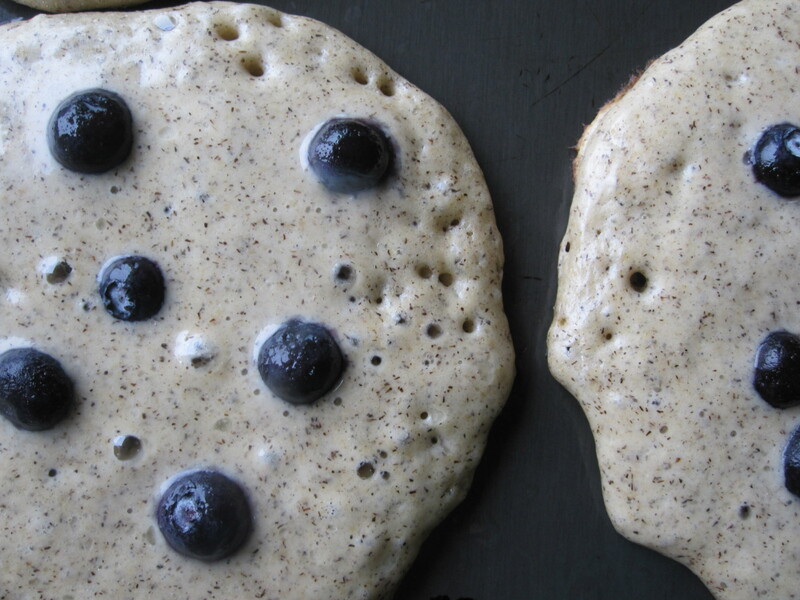 Way back when, I asserted my love for pancakes in my first post on this blog. Those Buttermilk Pancakes continue to be our weekly standard, but sometimes we are craving something a little different (or do not have any buttermilk in the house). 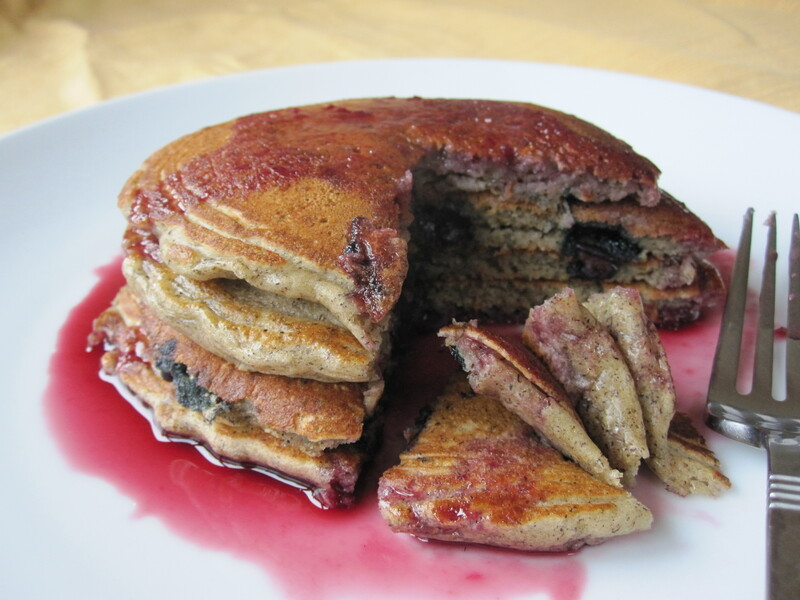 On those days we have Buckwheat Blueberry Pancakes. Buckwheat blends with whole wheat and all purpose flours to produce a pancake that has the characteristic blue hue of buckwheat, but the lightness of a regular pancake. A touch of yogurt in the mix gives them a pleasant moist quality. I like to dot the top of each cooking pancake with blueberries, but they are also very good with a mashed banana mixed into the batter. Stack the pancakes with just a touch of butter between the layers and stream Mixed Berry Syrup over the top. I am off to whip up another batch to welcome my family into the New Year!